December 14, 2015 - It is reunion time again. Planning is complete for the 2016 F.S. 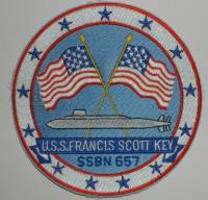 Key reunion in New London, CT -May 4 to May 8, 2016. Here is the e-mail sent out to all hands. If you did not receive the e-mail, be sure Diane has your correct address. The dates for the reunion is Wed. May 4th - Sun. May 8th. This year our banquet will be held on Thurs. May 5th. to partake in our reunion events. If you do not fill out this form, you will not be able to get on base for the events. registration fee & dinner fee. Don't forget, send the Groton base form & check to Groton & the Key registration form & check to me. celebrate this event in style. We will have some very nice raffle items & registration gifts this year. If anyone has any questions, please call me at 518-355-2119. Hope to see you all in May. December 14, 2015 - Received notice of the sudden passing of shipmate Chris Barrows. It appears from his obituary that Chris served on the Key sometime between 1984 and 1990. Chris has been added to the Crew List and his obit can be found in Eternal Patrol. Rest in peace shipmate. 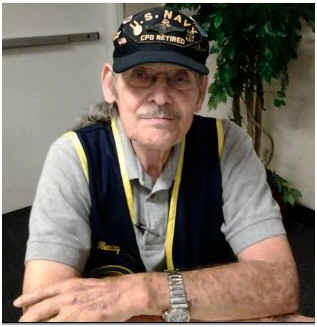 September 10, 2015 - Blue crew Captain Stanley E Bump passed away on August 11, 2015 after a lengthy illness. 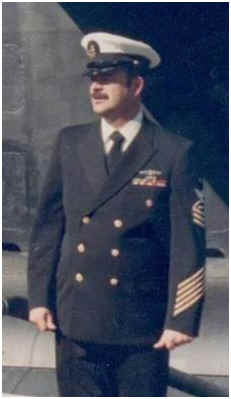 He retired from the navy as a Rear Admiral. Many of us served with CO Bump on the Key for his entire tour from 1971 until 1975 making 7 patrols, two canal transits and one overhaul in Bremerton Washington. He was a fine officer and will be greatly missed. Our deepest sympathies go out to his family, friends and shipmates. Rear Admiral Bumps obituary can be found in the Eternal Patrol area . Rest your oar sailor - Job well done. September 10, 2015 - Greg Webber informed us of the passing in 2012 of Dennis Fortier, Nav ET chief on the gold crew from 72 - 74. We wish the family and friends of Dennis our deepest sympathies. The obituary can be found in Eternal Patrol. Rest in peace Dennis. Job well done. August 2015 - New shipmates added in August 2015. Carpenter, Raymond 69 - 73. Check Crew List for details. July 8, 2015 - Two shipmates have shipped out on eternal patrol; Ed Ray - Torpedoman on the Key from 69 - 71 on the Blue Crew and Glenn F. Fleming A-Gang from 79 - 80. Our deepest sympathies go out to the families and friends of these two fine sailors. We were honored to serve with them on the Key. Rest your oars sailors - Job well done. July 8, 2015 - Planning has begun on the 2016 Key Reunion in New London/Groton, CT. Al & Diane Singleman recently toured the area searching for the best hotel deal they could find for the event. I believe the reunion is scheduled for the first week in May 2016. I will update the web site once Diane has finalized the details... Keep well and keep off the eternal patrol list! March 2015 - Shipmates added in February & March 2015 - Kenyon, Barry 72 - 77; Warren, Clay 74 - 78. Check crew List for details. March 27, 2015 - Received news of the passing of Ramon "Cabbie" Cabalona, Plank Owner, Supply Div, 65 - 68 Blue Crew. Ramon's daughter Yvonne notified us of his recent passing on March 6, 2015. Our sympathies go out to all of Ramon's family and friends. Job well done shipmate. March 26, 2015 - This is particularly hard for me to write. I was on the web and decided to look for a friend and shipmate that I had not heard from in 6 or 7 years. Instead of finding his address, I found his obituary. It is with great personal sadness that I announce the passing of Marlin Neal McDougall, MT2 Blue Crew 71 - 74. Marlin passed in April 2010 after a short illness not long after moving from Kerrville, TX to Grass Valley, CA. He was only 59. Rest in peace buddy, rest in peace. 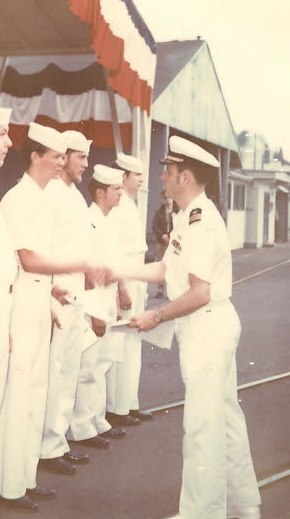 Marlin getting 2nd Class promotion in 1972 from Capt Bump in Bremerton. January 2015 - New Key Shipmates add in January 2015. Martin, Steve 71 - 74; Loesberg, Stephen 75 - 80; Smith, Larry 84 - 90. Check Crew List for details. January 15, 2015 Received notice of the passing of Kent W. Hamlin MPA Gold Crew in the early 70's. Bill Wendland sent us notice of Kent's passing which happened in 2010. Our sympathies go out to Kent's family and friends as we wish our shipmate a peaceful rest. Job well done.